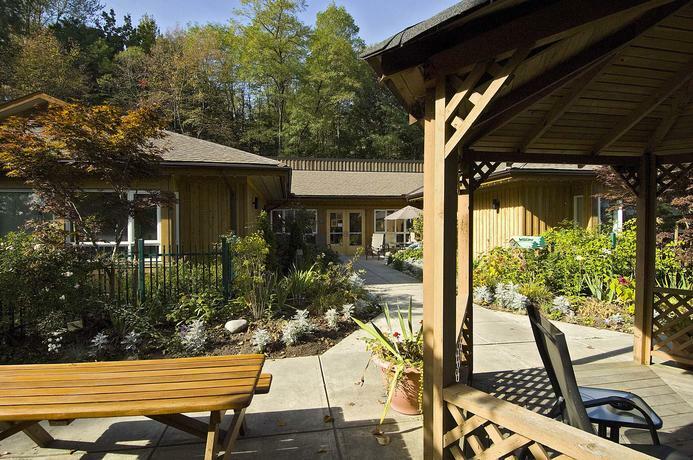 Cottonwood Lodge is a 24-bed residential care facility developed as a prototype for the Fraser Health Authority. As a long-term solution for mental health patients, it will enable residents to live more independently. Project goals specified the design of a sustainable facility that would interact with nature and offer improved end-user comfort. Energy savings were realized through the use of concrete mass and embedding a radiant heating and cooling systems in the concrete slab. A displacement air ventilation system combined with ultra efficient lighting and motion sensors further enhanced energy savings. Together, energy efficient strategies resulted in an improvement in energy performance of 40%. Water conservation was achieved through a variety of strategies. Water efficient plumbing fixtures resulted in a reduction in potable water consumption by 42%. Landscape design specified native plantings, which require little or no potable water for irrigation.